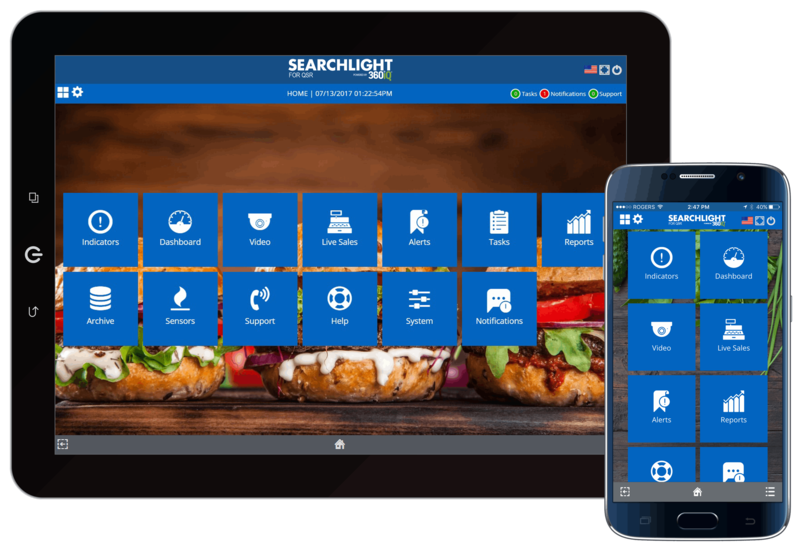 March Networks Searchlight™ for QSR powered by 360iQ is a cloud-based business intelligence platform that helps quick serve restaurant (QSR) owners cut losses from theft, oversee operations, improve service, and increase profits. By integrating surveillance video with point-of-sale transaction data, Searchlight for QSR gives you a better understanding of store-level operations and provides insight on specific business performance and instances of potential theft. Owners and managers can access this data via any web-enabled device, including their smart phones and tablets. They can use Searchlight for QSR to track and analyze key business metrics across multiple locations, enforce employee accountability, and improve operational consistency and customer retention.